Want to know what the buying experience is like at BagHunter? Read our client reviews. These reviews are written by actual BagHunter clients, so you can know exactly what to expect from a transaction with us. See what others have to say about our products, support team and services. 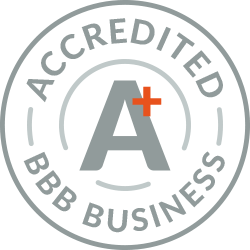 BagHunter is proud to have an A+ rating with the BBB. For more than 100 years, BBB has helped people find and recommend businesses, brands, and charities they trust. Their vision is an ethical marketplace where buyers and sellers trust each other. To find out more about BBB ratings visit their overview page. I am pleased with the experience. I appreciate your prompt response and the communication has been top notch. The transfer was efficient and quick. Thank you! Quick and painless. Happy for the buyer. Thank you. I'll definitely come back to you guys in the future. I would recommend Baghunter to anyone who wants to sell a designer bag. In my case, Baghunter sold a never worn Birkin bag for me that was one of many that my late wife owned. The staff at Baghunter was very professional in assisting me throughout the entire process and did an outstanding job in communicating with me once offers were made to purchase the bag. I will be using Baghunter in the future and highly recommend them based on my experience. Thank you Baghunter team. I have wonderful impressions from your company. The quality of the bag - is what I expected. Attention to my wishes at the highest level. And most importantly - a gift arrived exactly for the holiday! If you are considering using Baghunter, based on my experience, I would strongly encourage you do so, and cannot recommend them more highly. Recently, I set out to find a very unique, hard to get item for my wife as a 50th birthday gift. The item, in fact, being so hard to get, I really had no clue where to turn. Suffice it to say, in finding Baghunter, I found the right place, and, would never hesitate turning to them again. In fact, I’m certain I will many times moving forward down the road. Their customer service, merchandise, and all other components of my experience were exceptional on all fronts. I can’t thank them enough, again, nor recommend them more highly. Sincerely, an extremely satisfied customer, one of many, I’m sure, Geoff. Erika at Baghunter was just fantastic. She is always very responsive and helpful during the whole process of the sale of my bag. I definitely recommend Baghunter due to the professionalism and good reputation that they have. It avoids the many hassles of dealing with buyers directly that could lead to issues of counterfeit. It's fantastic and purchasing it from Baghunter was definitely the way to go. I used their search service as I was looking for something specific. They found what I needed in less than 24 hours. The bag was in pristine condition as promised, the service was outstanding and the process couldn't have been easier or more professional. Thank you Baghunter! I am beyond thrilled with my recent purchase from Baghunter. Their customer service went above and beyond in order to make it happen. From the moment that I contacted them, they followed up with every single question and concern I had. My bag was carefully packaged and shipping was super fast. Thank you Baghunter for ALL your help. If you are searching for an authentic luxury bag, Baghunter is the place to go. I couldn’t be happier. THANK U! After researching and considering a number of other luxury goods consignment sites, I chose Baghunter to sell my Hermes Birkin bag. A high degree of trust is required to send a new, high value, desirable item like the Birkin bag to a company I had never dealt with before. My decision to use Baghunter was based on the fact that site specializes only in high end bags and regularly receives high marks in the industry for credibility. I was not disappointed! The process of delivering the bag was both smooth and professional, and Baghunter handled the shipping arrangements via a secure carrier. Once received, the bag was evaluated, authenticated, photographed and then expertly advertised on the site. The bag sold at my asking price within ninety days, and I received my proceeds quickly via wire transfer to my account. As a consigner, I couldn't have been more pleased with the service provided by Baghunter. Thank you! Excellent website! Superior bag and customer service. Omg, Birkin, Birkin, Birkin!! Incredible bag/color. I'm SO HAPPY!!!!! I've been looking for a black togo leather kelly for myself for over 6 months and was beginning to think I would never find one unless I was willing to spend triple the retail price until I found a great deal on BagHunter. The bag I bought was practically brand new and in pristine condition and I couldn't be happier about the experience. I got the deal of a lifetime without waiting or playing that annoying "Hermes Game" at the store where they make you buy what you don't want and put you on some waiting list for a future bag with no guarantee or choice in color. Finally, I got the purse of my dreams thanks to Baghunter! I told all my friends who are interested in designer bags to check it out because it really is so easy to get the bag you want with limitless options. I already received my Birkin Rouge Vif this morning via Fedex and I just want to thank you for my stress free buying experience. Just like what I've told you before, your professionalism makes you different from other online companies. Thank you for patiently answering all my inquiries. My bag came more than how I expected it to be. Again, thank you so much and more power to your company. I don't know where to start! I m so happy with baghunter! They found me the Hermes Kelly Bag in perfect pristine condition! Not only did they find exactly what I wanted their customer service was the very best! Thank you baghunter! I will definetly be buying from you again! I recently purchased a Hermes Bag through Baghunter. The bag is spectacular and is rivaled only by the level of service and professionalism that accompanied the transaction from start to finish. Impeccable and therefore highly recommended.